Some days you just want to get out and stretch your legs, get a little fresh air, go for a run or take your puppy on a new adventure! 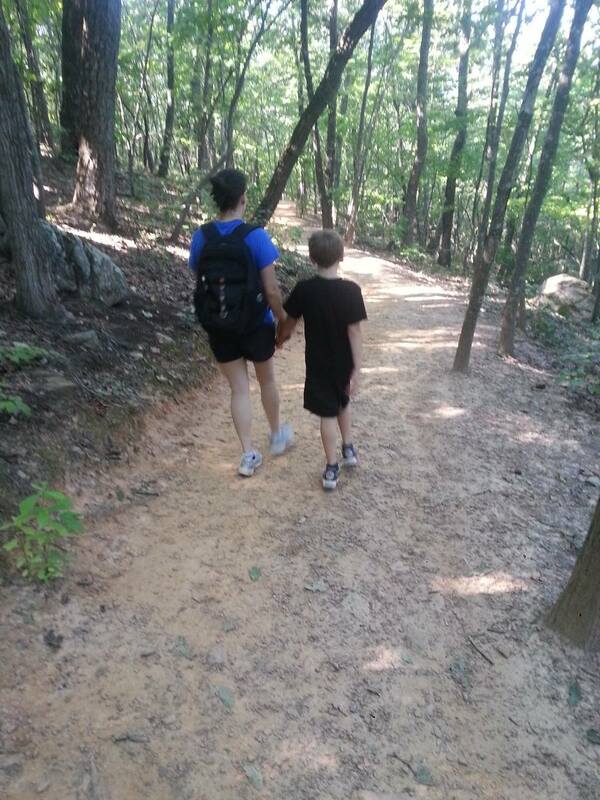 If you are tired of the same old sidewalks in your neighborhood or you need a break from the noise and traffic, take a few hours to go and explore some of these trails or spend an afternoon hiking in the nearby state parks. 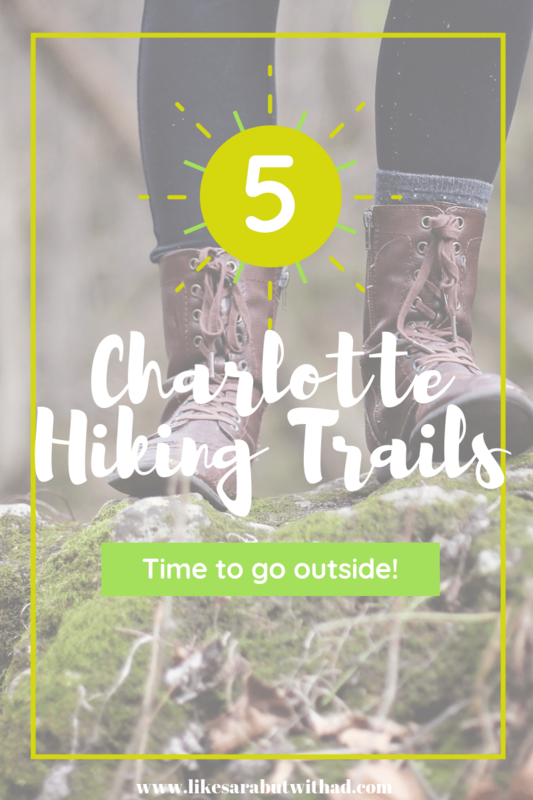 Charlotte has 17 different greenways dotting the city with 38 miles of trails to explore. There are access points in nearly every corner of the city. You can find more information, including a map here. 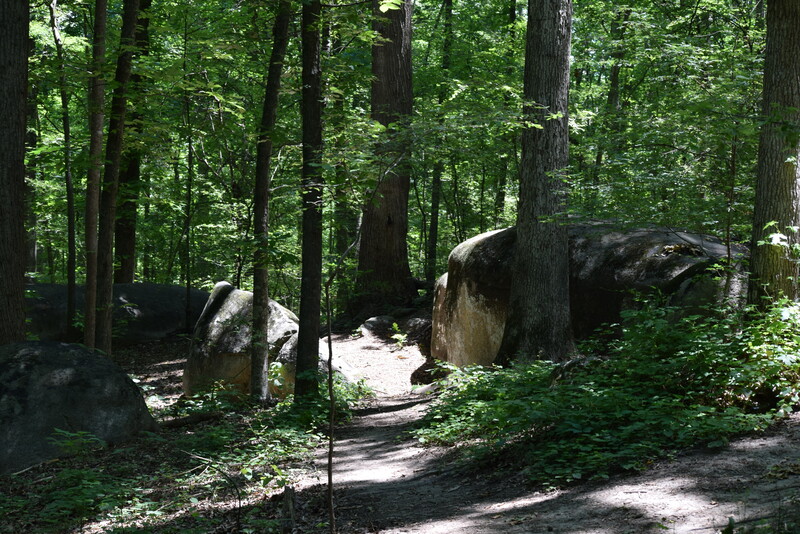 The Big Rock Nature Preserve is a 22 acre wooded area with large granite rock formations and trails located in Ballantyne just 15 miles from city center. The trail entrance is on a side street of a neighborhood. Note: Big Rock does not have any restroom facilities or parking (other than on the street). Do not park in the pool parking lot as towing is enforced. Only 4 miles from city center lies the Ribbonwalk nature preserve, a 188 acre urban forest with 3 miles of trails for your strolling pleasure, sorry cyclists but no bikes allowed. There are a few tables and benches where you can stop for a snack, and there is limited bathroom facilities i.e. porta-potty. The place is a bit of an undiscovered jewel and is often fairly empty, although if you are lucky you might catch a deer or two. Looking for something a bit more adventurous? Take a short drive south on 85 to King’s Mountain to spend a few hours hiking at Crowder’s Mountain. This 5,126-acre state park is located just 33 miles from city center, and boasts over 18 miles of hiking trails, a visitor center with museum quality exhibits, a picnic area with grills, campsites, canoe rentals, fishing, a bouldering field and an area for rock climbing (permit may be required). If you are willing to drive a little further, Morrow Mountain State Park is located about 47 miles from city center and offers a plethora of activities: 15 miles of hiking trails, 16 miles of bridle trails, a pool (the pool house has showers) and a very nice picnic area including a shelter with a fireplace. Want to extend your trip? There are campsites and cabins available for rent. 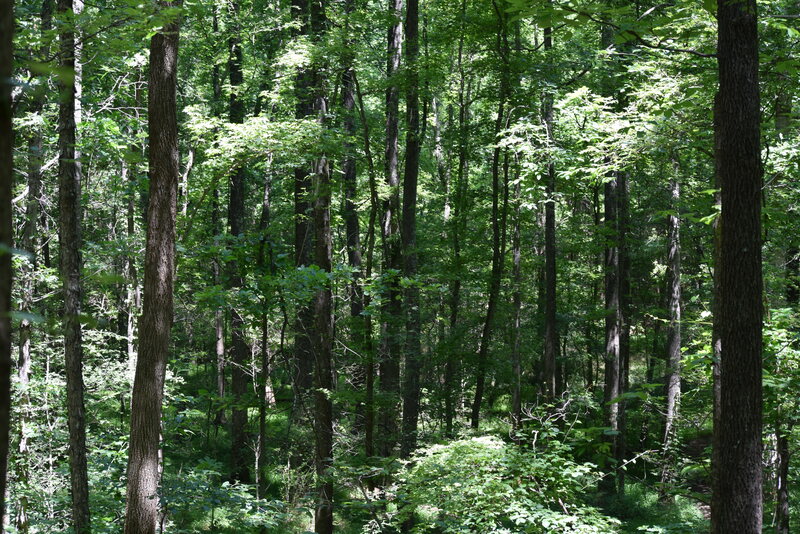 About an hours drive from city center is the 50,000 acres that make up the Uwharrie National Forest. With 20+ miles of hiking trails, campsites, mountain biking trails, places to fish, and boat access, Uwharrie is the perfect spot to get away from the hustle of the city. Have you tried out any of these trails? Know of another cool hiking spot? You’re pretty close to me and we’ve got some good ones too. Before I had a knee go completely out, I hiked a LOT. 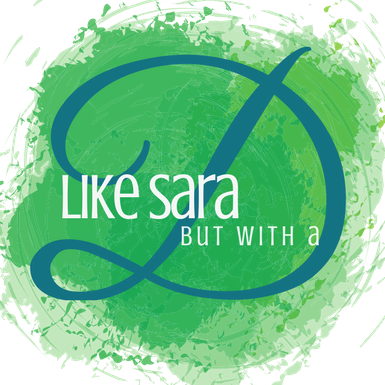 I had a friend up your way who always wanted me to meet her…somewhere. 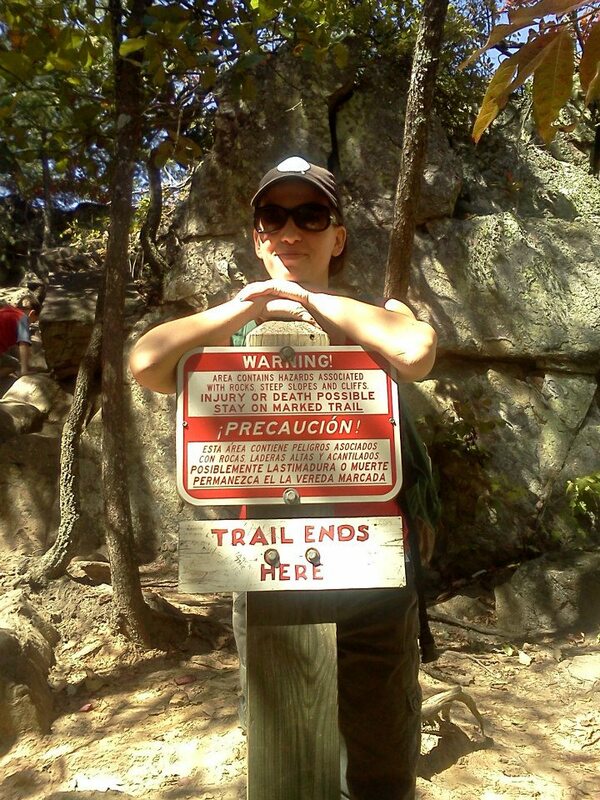 Dang if I can remember what the trail was called. I would always rather walk in the mountains than around a dang track! It’s actually cooler too. Thanks for this post! We are new to the area -moved from Colorado, so definitely love hiking! You are very welcome! I hope you get a chance to check some of these places out!